Mainly clear. Slight chance of a rain shower. Low 51F. Winds SSW at 5 to 10 mph.. Mainly clear. Slight chance of a rain shower. Low 51F. Winds SSW at 5 to 10 mph. Details for Looking to sell your house? 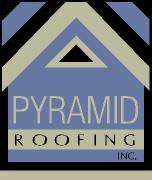 Replacing your roof can help! When it comes to buying a new home, one of the biggest expenses people worry about is replacing the roof. A new roof is often worth a lot to potential buyers, because it puts their minds at ease about looming future problems. Remember, when selling a house, the first impression is important!